This study sought to investigate whether, in patients with retinal detachment complicated by proliferative vitreoretinopathy, we can re-attach the retina with a posterior relaxing retinotomy and silicone oil tamponade while postponing laser retinopexy for several months. In 13 consecutive patients we applied laser coagulation of the retinotomy edge 15 ± 12 weeks after surgery. Silicone oil was removed 9 ± 6 weeks after laser application. After the retinotomy without laser, some degree of central shifting was seen in all patients, followed by obvious curling in 10 patients. The total follow-up was 24 ± 7 months after retinotomy and 13 ± 9 months after oil removal. The retina was attached in 12 patients at the last visit, with the oil still in situ in three patients. Seven patients, however, required additional surgery. Function remained stable with a mean preoperative and postoperative Snellen visual acuity of 0.09. Not anchoring retinotomy edges with a laser at the time of surgery allows inward curling and central slippage of retinal edges under silicone oil. 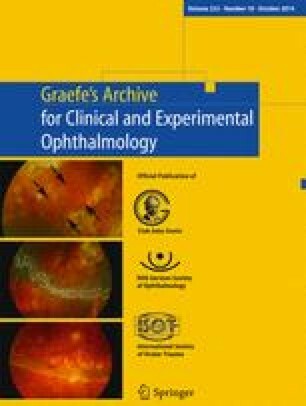 This appears to compensate for the retinal fibrosis occurring in the weeks following surgery and may result in less macula-off re-detachments under oil, and potentially, in better visual outcome.